I have written about the standard Thai VISA Extension in Bangkok, but more recently we had to complete one when travelling, and, fortunately we found various immigration offices scattered throughout Thailand. Tycpically there would be one immigration office per province, although at times they do overlap, and each will be used for Thai VISA extensions and 90 day reporting on more long-term VISAs. So, when based in rural Isaan, we did a quick search in the surrounding area, and uncovered a bunch of immigration offices (including Maha Sarakham, Khon Kaen, Roi Et, Buriram, KapChoeng (Surin), and Nakhon Ratchasima / Korat). From this list we then found three which were a ninety minute radius from out current location (as we’re out in remote rice fields). 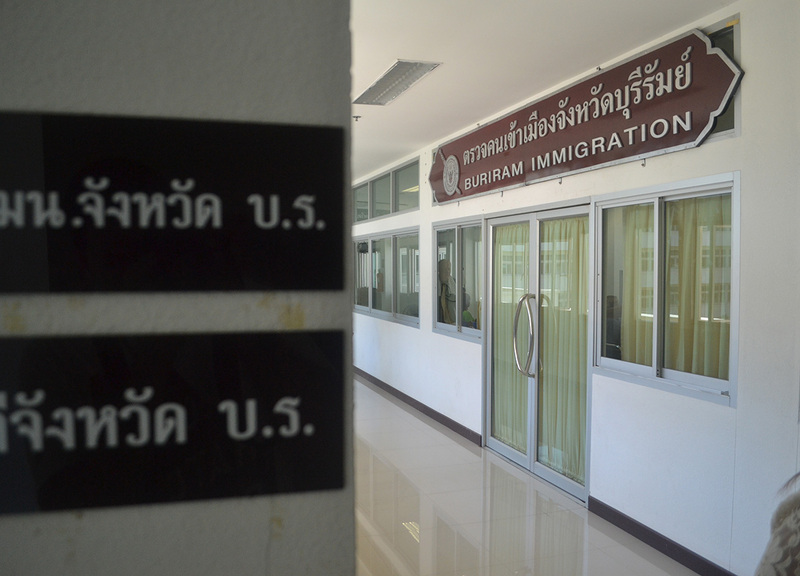 Each of these immigration offices were in different provinces: Buriram, Kap Choeng (Surin) and Chokchai (Korat). But these immigration offices are almost always found in outside areas and within Provincial Government Office buildings. So personal transport does help. 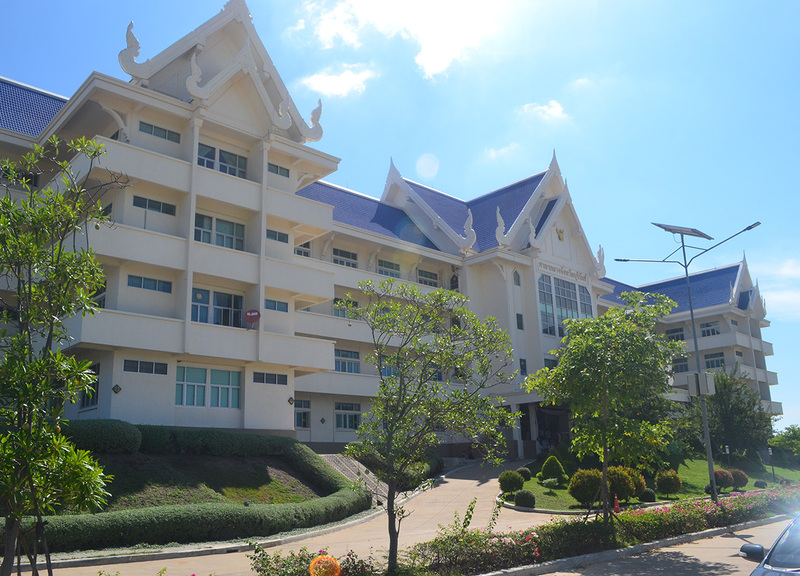 Anyway, for my 30 Day Tourist VISA extension, we lumped for the Buriram Provincial Offices. The general immigration office hours will be Monday to Friday, between 08.30 – 16.30, with a one hour break between 12:00 noon – 01:00 pm. It is probably best to arrive early, and to pick up a ticket before waiting in line. But, unlike Bangkok, and other big tourist and expat destinations, the provincial immigration offices will be a lot less busy and easier to complete the Thai VISA extension. For me it took no more than 40 minutes. Note immigration offices will be closed on public holidays in Thailand. Forms and photocopying will likely be available at the immigration offices. For those NOT staying in a hotel (e.g. in someone’s house) it will be necessary for the homeowner to report, within 24 hours, that a foreigner will be staying at their residence (TM30). A law which we were clueless about and Fanfan’s mum was inevitably fined 400 Thai Baht for not reporting my stay (and this was apparently leanient where I’ve heard of up to 5,000 Baht in fines). In highsight it would have been cheaper and easier staying at a hotel given the immigration offices were a good hour’s drive from where we were staying. I rarely opt for the tourist VISA extension option as it often makes more sense to jump the borders and apply for a new 60 day VISA at embassies outside of Thailand. Plus we almost always have travel planned ahead. So for VISA runs I would schedule them every two months, and I would make them cheap, so in the long run the spending isn’t so different. Yet, at the same time, I gain some great travel experiences to go with. And to date I have covered most of the nearby border options, and some more far flung alternatives. Here for full list of easy Thai VISA runs. Tourist Visa to Spain. If you can please reply to my email”. Hi, the link to the visa extension document no longer seems to be correct. Hello, how about those staying in an apartment? I’ve never had problems with apartments, at least not in Bangkok or the big cities. I think it’s more of an obligation for the owner to register someone staying at the property. Something which really is quite loosely followed. At the same time, those on tourist visas will complete address on the form when arriving at airports etc, It’s more a change of address. I’m a bit unsure about it all tbh.